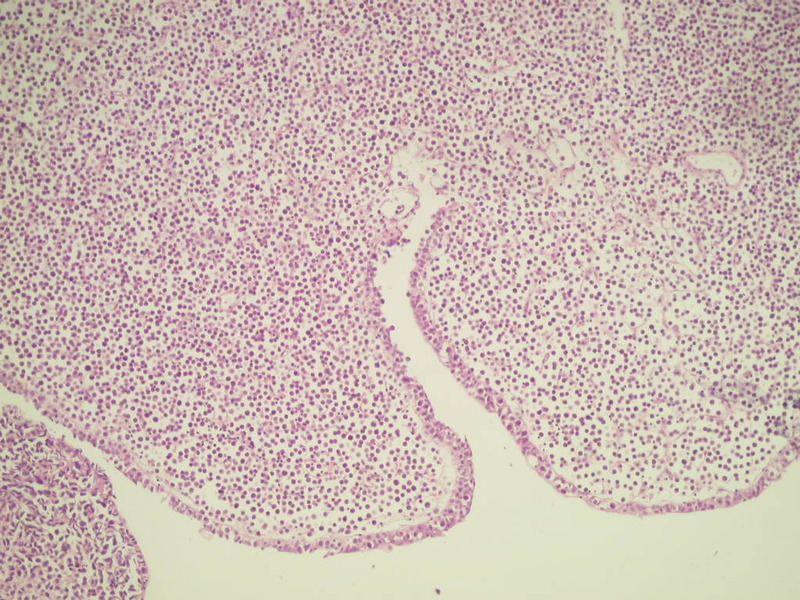 (1) We are looking for pathologists with expertise in the topic to write a 250 word article on "What's New" for these future Feature Pages: Consumable Lab Products (Nov11), Grossing workstations / lab furniture (Dec11), Billing / consulting / management (Jan12), Microscopes / slide imaging (Feb12), for $50 per article. If interested, email Dr. Pernick at natpernick@hotmail.com. (2) The ASCP published their Fellowship and Job Market survey, click here. 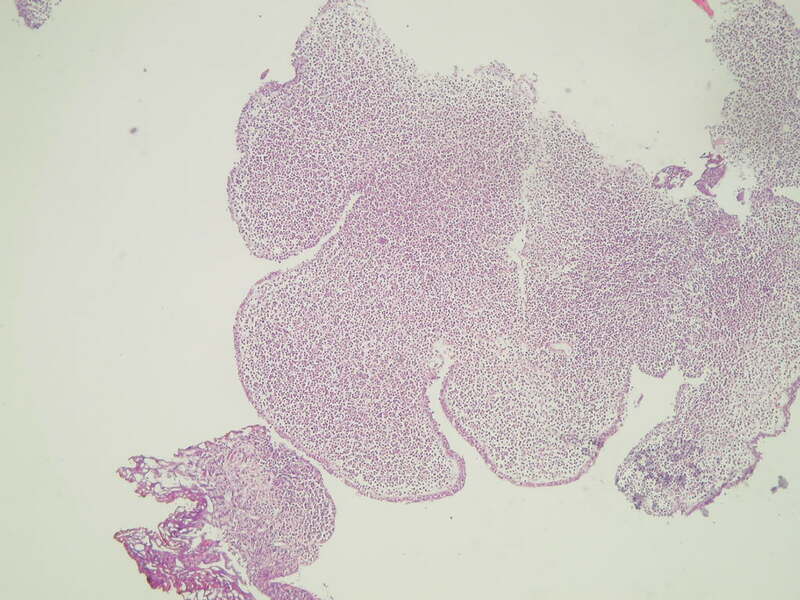 A 76 year old man with an unknown clinical history had an irregular process on the posterior bladder wall, which was biopsied. 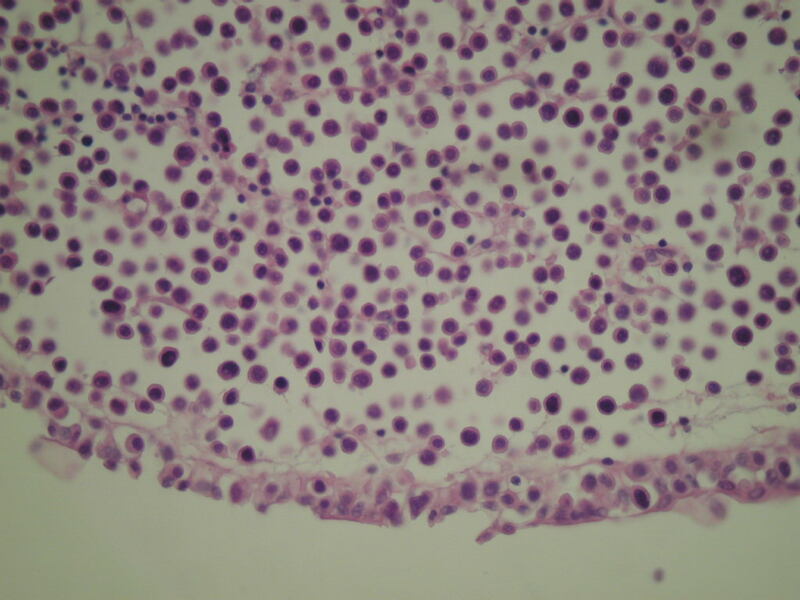 The tumor consisted of a dyscohesive pattern of urothelial tumor cells resembling plasma cells, due to abundant glassy eosinophilic cytoplasm and eccentric nuclei. No binucleated forms were present. 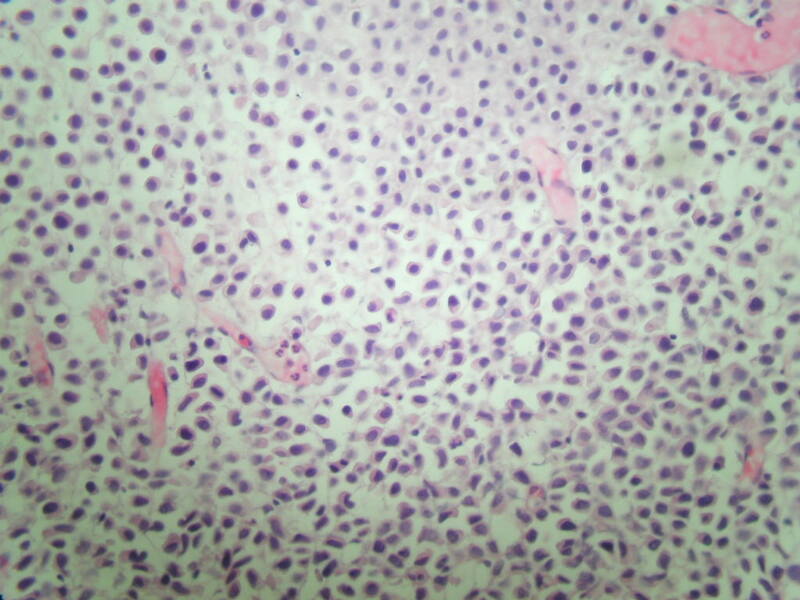 In some areas, the tumor resembled a low grade lymphoma. 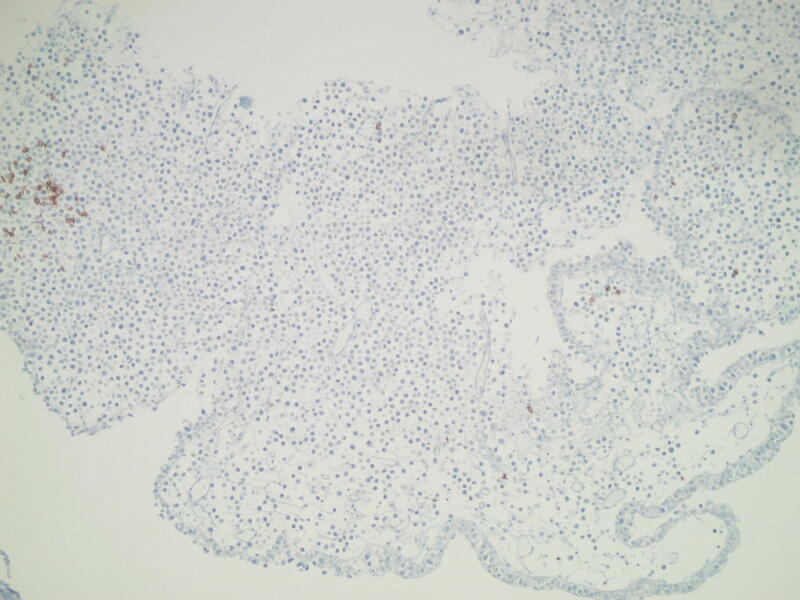 Obvious areas of high grade urothelial carcinoma were also present in other sections. 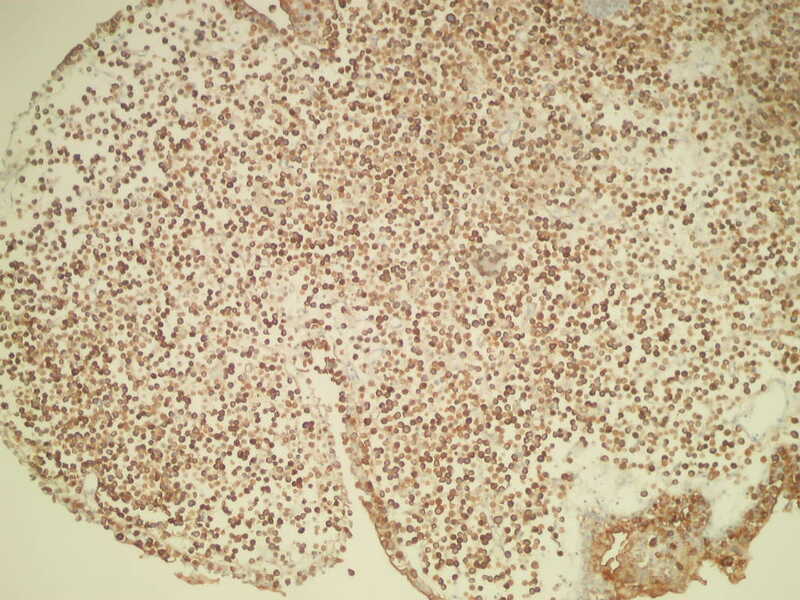 Plasmacytoid variant of urothelial carcinoma is part of the WHO/ISUP classification of tumors of the urinary tract. 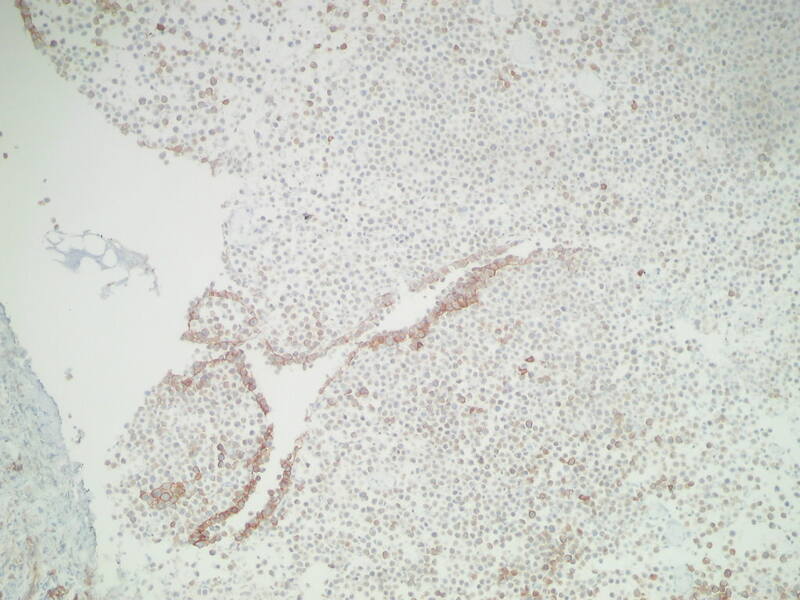 These tumors are rare, and tend to present at advanced stage with a poor prognosis (Int J Cancer 2011;129:346). 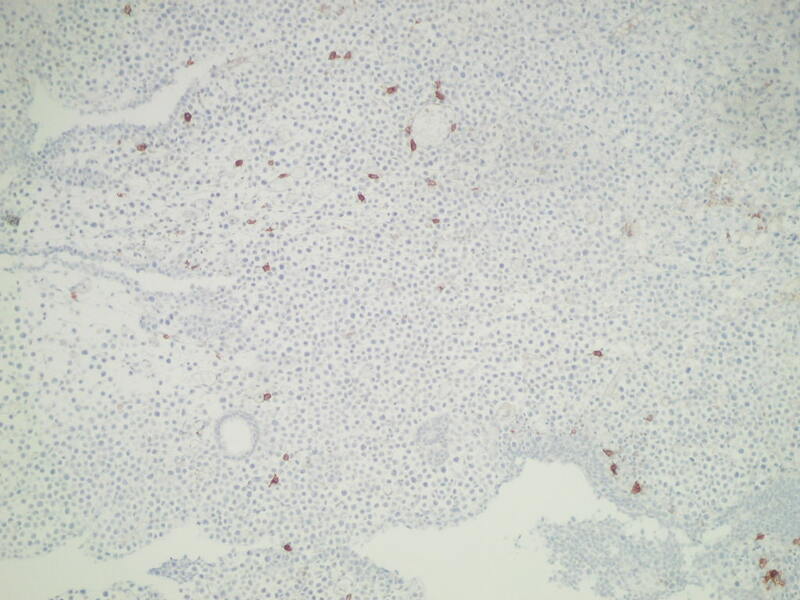 Tumors are strongly positive for epithelial markers (cytokeration, EMA) and GATA-3 (Hum Pathol 2011;42:1149), and are usually negative for CD38 and light chains, markers for plasma cells. 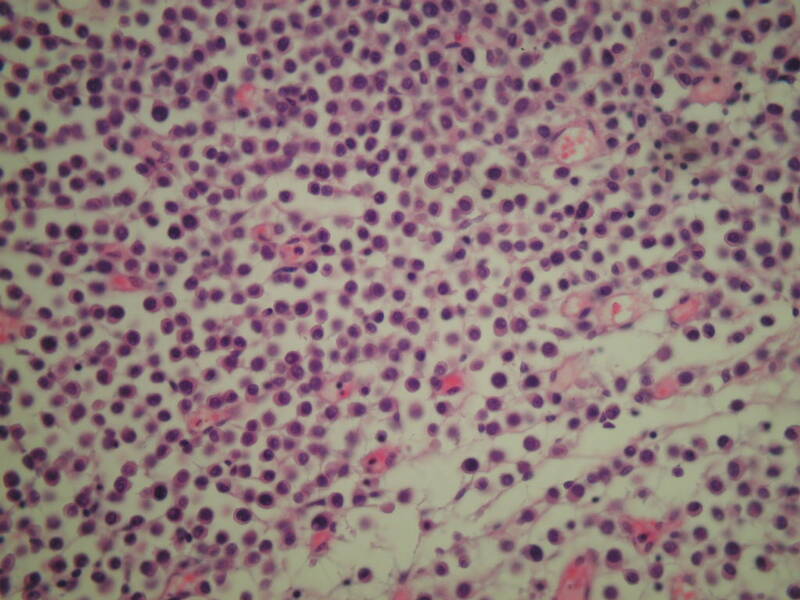 There often is immunoreactivity for CD138 (Hum Pathol 2009;40:1023, Am J Surg Pathol 2009;33:417). 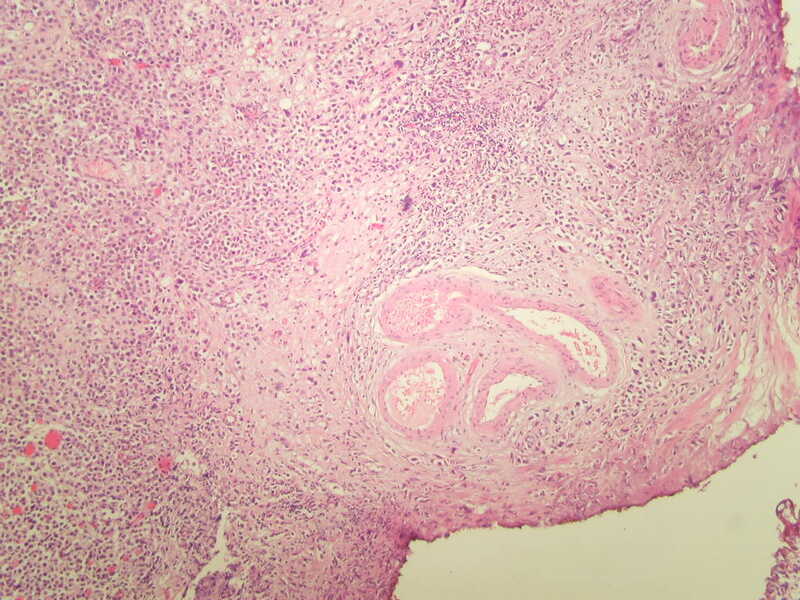 Differential diagnosis includes chronic cystitis and plasmacytoma, particularly a problem in limited biopsies. Treatment consists of surgery plus chemotherapy (Int J Clin Oncol 2011 Jul 7 [Epub ahead of print]).